The police have arrested an 80 year old woman and 13 young girls over their alleged involvement in human and child trafficking in Abia State. The arrest of the suspects is coming barely one week after the police apprehended some youths said to be students of higher education institutions of learning over their roles in the kidnap of persons for ransom. Investigations revealed that the teenage mothers were usually kept within the walls of the hostel throughout the period of their pregnancy until they delivered their babies. However, all the suspects have denied the allegations. According to Okiro, babies delivered in the hostel under the supervision of Mrs. Erondu were usually sold out to some unnamed clients of the hostel who are said to be either childless couples in search of children to adopt or influential persons in society who procure the babies for rituals believed to give them political victory and wealth. 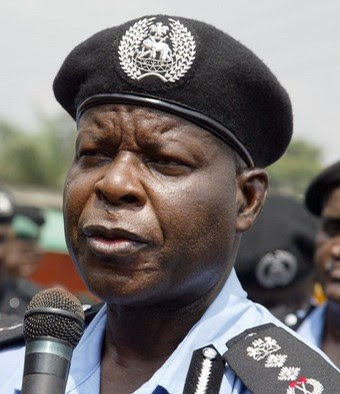 The Police boss expressed appreciation to the informants who exposed the illegal trade perpertrated...adding that such cooperation was a clear confirmation that a strong police-public partnership was necessary in the task of safeguarding the security of lives and property in Nigeria. This, to me, was a strange article and a strange case that confused me as to who the police felt were victims and who were the criminals. Obviously, the children who had no voice in the matter and were sold to families or wealthy couples are victims. The rest is unclear. Nonetheless, it adds another layer to the complexity of this already complex crime.